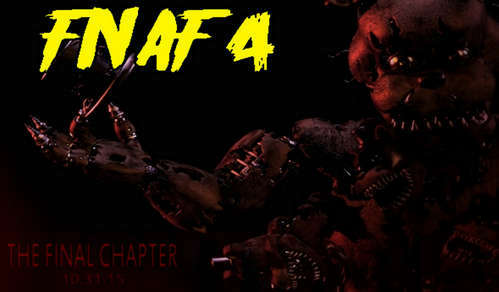 Scott Cawthon's Five Nights at Freddy's 4 for Android is probably the last and final chapter in the award-winning FNAF horror game series. With some new twists to the original story, more scary animatronics, and improved gameplay mechanics, this latest installment is the perfect final game in the saga. In FNAF 4, you play as a kid in a house full of terrifying monsters rather than a security guard like in the previous entries. Your only defense is a flashlight which you must use to scare off the horrifying creatures that are out to get you. Free download Five Nights at Freddy’s 4 APK full version for your Android phone or tablet and try to suvive the night!! Your survival in this final chapter is dependent upon audio cues as opposed to visual cues from camera feeds present in FNAF 2 and 3. It’s quite the heart-stopping scare tactic from the developer and a step forward for sure from the previous chapters. Headphones and a quite place are recommended for the best gameplay experience. All the usual suspects including Bonnie, Chica, Foxy, and Freddy are present in Five Nights at Freddy’s 4 and look more vicious than ever. As a scared kid, you're hiding under your bed looking at three doors, listening out for a moving animatronic and need to close the door nearest to the sound or turn on your flashlight to scare the monsters away. You have until 6 am to survive this hellish nightmare! Remember that this game needs at least 512MB of free RAM to run properly. No internet is required so, just install FNAF 4 Apk and play offline.